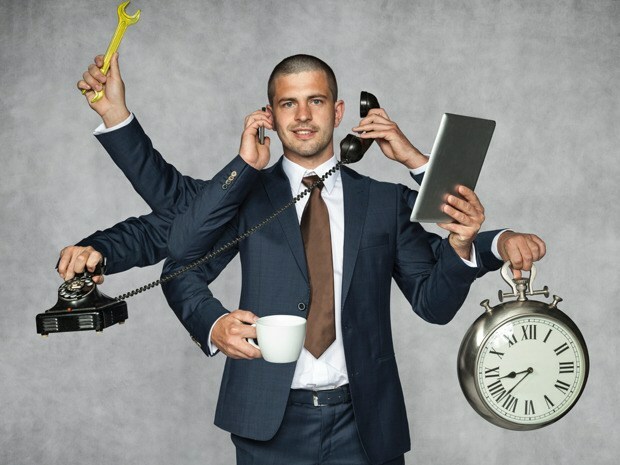 We all have first-hand experience of finding it difficult to concentrate, the waste of energy, the risk of overlooking information relevant to our business due to a constant demand to multitask. We are conditioned by an excessive amount of information: A constant stream of emails, phone calls, and meetings that frustrate our efforts to work stress-free. The Deloitte Global Mobile Consumer Survey 2016 report paints a picture of an Italy increasingly dependent on smartphones and businessmen and corporate employees are no exception. Quite the contrary. The cell phone is driving a wedge between personal life and working life. Making yourself always available forces you to sacrifice free time and hours of rest in order to respond to work emails, even during the night. Corporate employees use their smartphones continually during working hours and outside of them, at night and during their holidays. In this way it becomes extremely difficult to work stress-free. You fall asleep with your phone in your hand and when you get up in the middle of the night, you answer personal emails (64%) but more than anything else, you read (76%) and reply to work emails (83%): 57% of corporate employees immediately check their phones first thing in the morning and 59% check them over 200 times during the day. If the primary goal is to be able to work without stress, or limit the burden of stress, you need to save energy which tends to dissipate with repetitive, not strictly necessary or well-focused activities. It is necessary to learn how to allocate time – a valuable activity for a proper process of self-regulation – and minimise interruptions. Six principles, applicable to any project, aimed at maximising intellectual and productive efforts and reducing the negative effects of multitasking. Scheduling time slots in which you will handle only one activity encourages concentration, enhances intellectual performance and helps you to work stress-free. It is important to remember during the work planning phase to take a break between one activity and another, because fixed schedules are more frequently subject to grinding to a halt due to even minimal interruptions or unpredictable, unforeseen, external factors. Undertaking a single activity for each apportioned amount of time facilitates concentration and fluidity, and above all it ensures effectiveness in terms of completing the activity in progress. Making an effort to divide tasks into small blocks and always taking small steps will make your actions more likely to succeed. Success follows success, failure follows failure. The average time that a person can commit to maximum intellectual productivity is 75 minutes. Believing that you can focus on a task for any longer with the maximum effort is unreasonable and therefore it is not productive to plan activities for any longer than that. To pursue maximum results and a state of well-being that allows you to work stress-free, the advice is to divide tasks into blocks of up to one hour and to exclude everything else for that hour. Finding the ability to focus on one thing at a time and planning breaks of about fifteen minutes helps maintain a rhythm and prepares you for another block of high-concentration. It is important for each person and each team to build their own routines and good habits that allow them to achieve as much as possible with the least amount of effort. It is all about putting into action, and continuing to train and regulate a work group’s “heartbeat” in order to increase productivity and relieve stress caused by the chaos of multitasking or the frequent and unexpected changes of direction. Every time you introduce rhythm, in individuals or in groups, you gain efficiency. This concept is valid both in personal life and in professional projects. It is not enough to introduce routine times where the team will meet: it is important to set them not only for discussing or doing activities, but also to check the progress, either intermediate and final, of individual activities. Focus, therefore, goes from the planning of the activity all the way to the results of the activity itself. The result of a group activity can not ignore providing what is needed when it is needed, in the right amount and in the right place. Any resource involved in a project should only produce what is required when it is required to facilitate communication and effectiveness, to do the right thing at the right time and in the correct amount. What is the risk when you find yourself at the limit of your capacity? An individuals or working group’s long-term performance will be heavily affected in terms of duration, quality and punctuality by feeling “swamped with work”. Therefore, to work stress-free and maintain high performance levels, it’s important to always have your workload and your colleagues’ under control. To do this learning to properly manage your energy levels (both physical and mental) becomes essential, avoiding, for example, planning demanding mental activities for the evening or immediately after another demanding task. In essence, in order to counteract stress, one must learn to slow down in the short-term in order to gain speed in the medium and long-term.